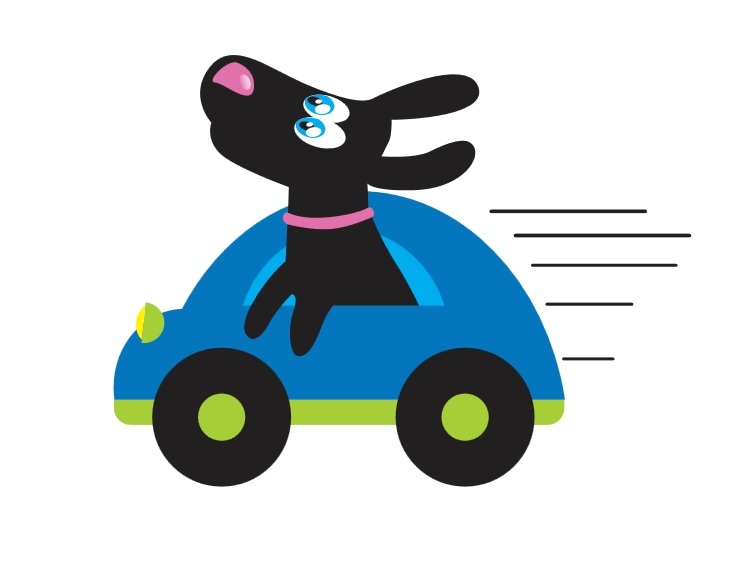 If you want to take advantage of our daycare services but have trouble getting your dog to and from Zipidy Do Dog Daycare we can transport your dog for you with our dog shuttle! Pick up is available between 7am – 9am and Drop off is available between 6:00pm – 7:00pm. You must make arrangements for our dog shuttle by 7:00pm the night before you need the service. You can either call or make the reservation online by clicking HERE. Our dog Shuttle also works as a solution to your dog’s Overnight Care needs. If you prefer your dog to stay in the comfort of their own bed while you are gone, we can make it happen. We will pick up your dog every morning, feed breakfast, and let your dog have a great day participating in our dog daycare program. At the end of the day we will feed your dog dinner then shuttle your dog back home to settle down for the evening! This is ideal for adult dogs that are trusted to be unattended at home while you are gone. Shuttle services are $5 per trip and limited to 10 miles within Zipidy Do Dog Daycare’s facility. We will do Dog shuttle services to and from Eagle Crest Resort! We offer multiple dog pick up and drop off discounts!